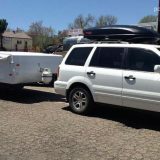 The absolute best upgrade you can make to a popup camper is by installing Reflectix. For less than $100 and fifteen minutes of your time, you’ll stay warmer on cold nights and cooler on hot summer days. 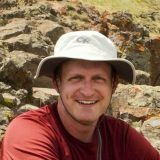 But before I discuss the actual Reflectix product, here’s the story of how I discovered the importance of adding “insulation” to your popup camper’s bunk end. On the first night in our new popup camper, I became disappointed. Despite the heater running and several heavy blankets on top of me, I was still cold! It wasn’t just the temperature but also a strong draft coming through the bunk end. I managed through that trip by using a stocking cap and even more blankets, but quickly Google’d the problem once we returned home. That’s when I stumbled upon Reflectix. 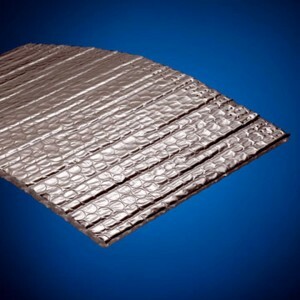 The Reflectix product is essentially polyethylene bubble wrap encased in reflective aluminum foil. 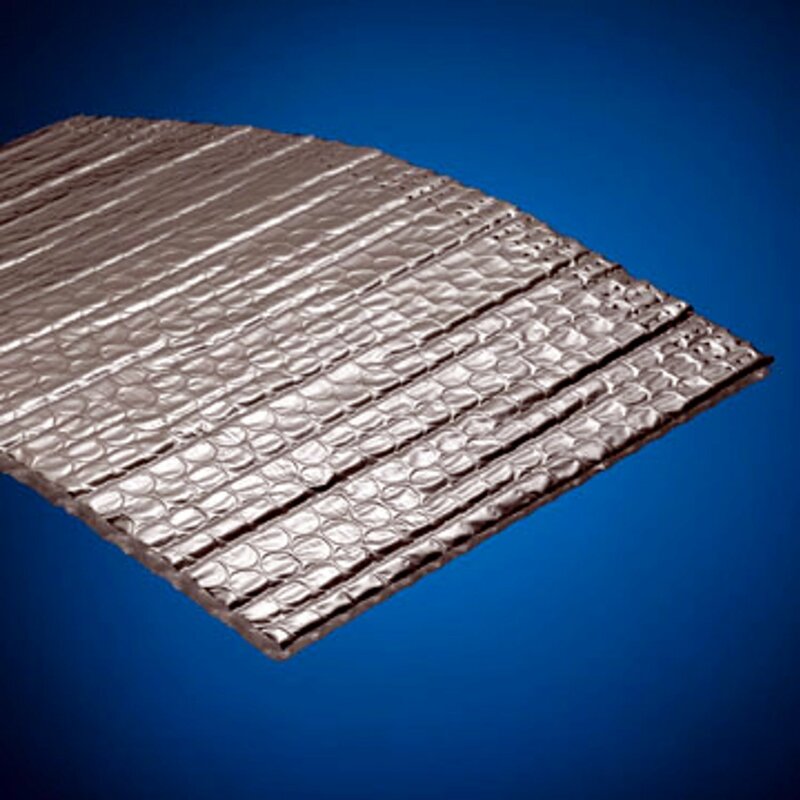 The bubbles provide both air space insulation and strength to support the reflective foil surface. You’ll want the double reflective version to keep the warm air in and the cold air out (or vice versa). 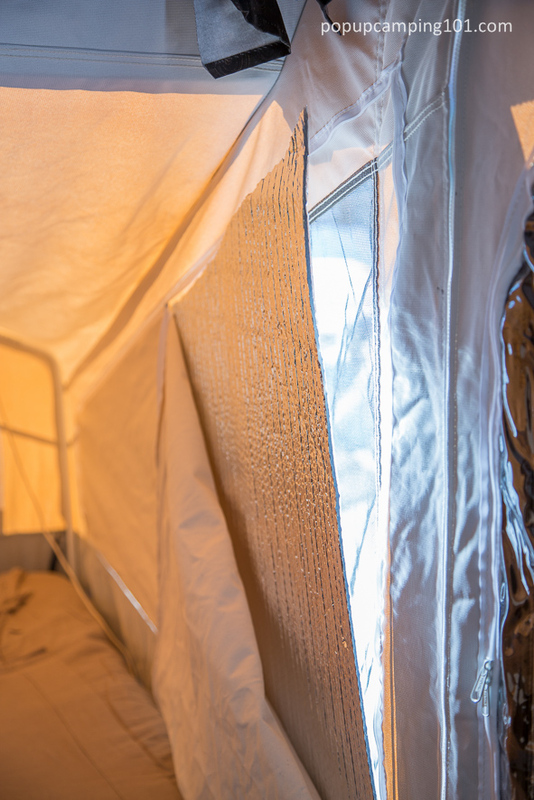 By cutting several Reflectix pieces to fit between the screen and canvas in the windows of your slide out bunk (as shown in the top picture above), you’ll upgrade from a thin and drafty canvas to an amazingly well insulated sleeping setup. 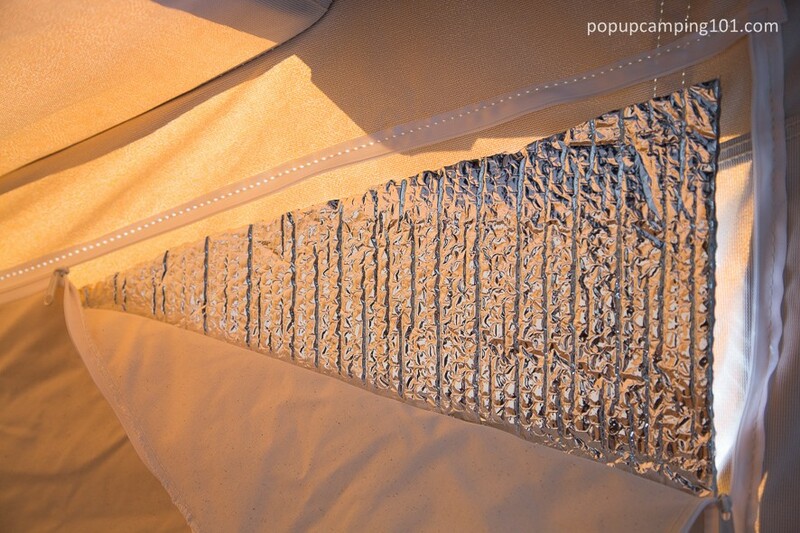 As you can see above, the aluminum foil surface also does a great job of reflecting sun rays to help keep your camper cool during hot summer days. This also helps our kids sleep in a bit later since the bright sun doesn’t wake them up as easy. And the canvas can still be unzipped a bit for letting in some breeze. All of this really helps conserve battery power when boondocking since your furnace fan won’t need to run as often. 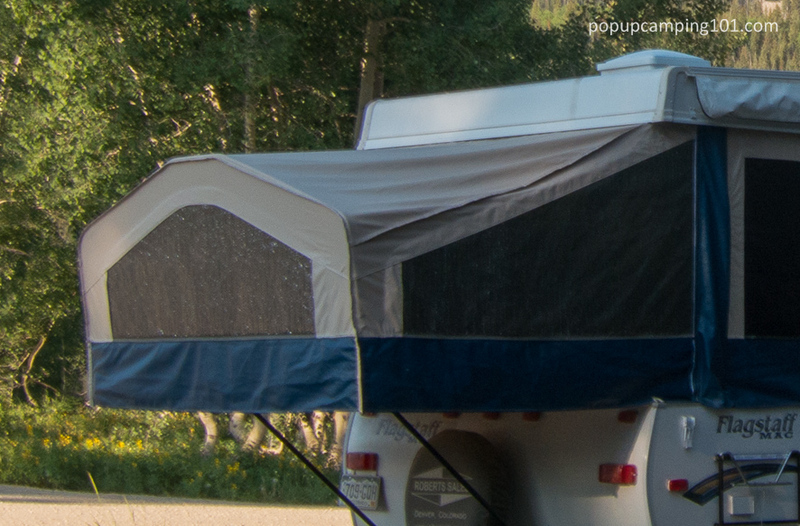 And when you’re done camping, simply slide the Reflectix panels under your mattress for convenient storage. From the exterior, you can hardly tell the product is installed – a nice attractive and stock look. An additional benefit of the Reflectix panels is that they help keep your canvas dry. When packing up after a rainy evening, you can pull the panels out and either dry them separately before storing or simply throw them in your tow vehicle. The canvas behind them will be dry and ready to pack up. On the other hand, having non-breathable insulation installed can cause condensation to collect inside the camper. For this reason, I always crack a window on our last night of camping unless we’ll have time to air out the camper before packing up and leaving. How much of this Refltix Insulation did you buy? There are many different size rolls. Thank you. Don’t recall exactly, but you should be able to estimate the amount needed based on your bed end sizes, and if I recall – it was relatively cheap so I just bought extra to avoid a return trip to the store. I see 24 inch and 48 inch by 25 foot rolls are available. My pop up is currently at the trailer shop for axle work, so can’t measure. Did you go with the 4 foot wide rolls? This is great product. 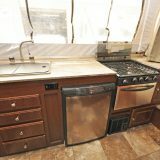 I used it to the window in my RV while boondocking in my property in the mountain. Sorry if this question is redundant. Does shinny side face the outdoors? Also if I were making a cover for our cooler, would the shinny side face out to reflect the sun? Reflectix is the same (shiny) on both sides. It looks identical to the material I bought at a big hardware box store. 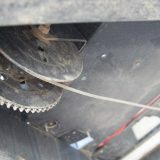 It was for garage insulation that you cut the desired length and slide it into the roll top garage door panels. I do not know if there are different qualities to the one I got and this “Reflex”, but really looks EXACTLY the same from the picture. Wish I remembered what brand I got- for all I know it may have been the same. At the store I purchased, they offered different lengths and widths. I really like this post, because I was thinking about other ways to use the scraps I have. My point was to check out the insulation isle of your local hardware/home improvement stores, as they could duplicate this method also. What about permanently having a layer of it under the mattress cushions as well? I know a lot of cold can come from below. Jeff – I never found this was needed under the mattress (which in combination with a wood platform, was pretty well insulated). Went to Menards and purchased 1 roll to do my 2 bed pop outs on my Viking 2402st. We followed your directions made cardboard patterns for the zip windows and my wife couldn’t believe the difference. Had some extra so we lined the sides around the edge of the bed, about 12 inches high. No cold drafts. I didn’t use the propane heater, too cold no pressure, but only our Comfort Zone® 1,500 Watt Portable Utility Milk House Heater with Fan also from Menards to keep us warm. Got down in the lower 30s at night and we were very comfortable 70 degrees inside all night. 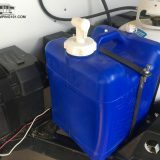 I also recently solved the propane no pressure problem by purchasing a warming blanket that straps around my 20lb propane tank. Plug it in and guess what? “wala” I have propane pressure in those cold days. 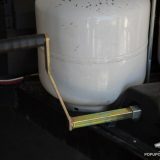 It doubles when not “Fall Camping” to heat the propane tank on our gas grill during the cold winter months. If you put these in the windows, does it create an issue folding up the trailer or do you need to take them out each time? 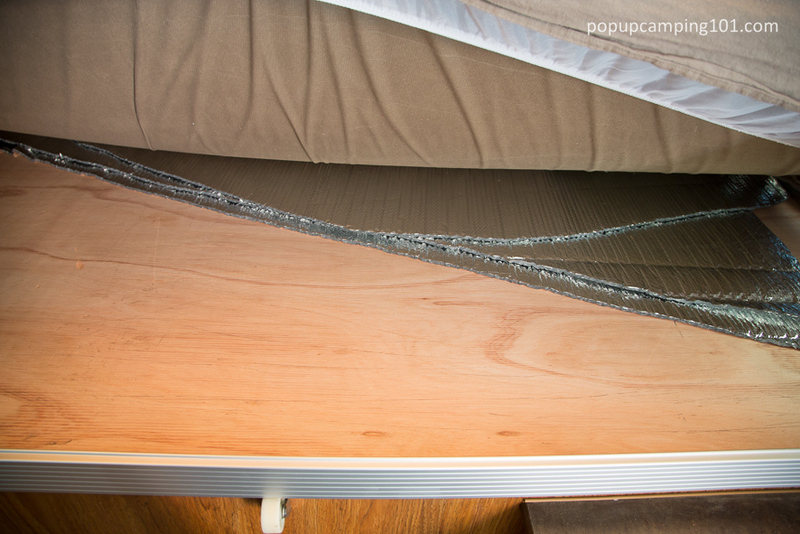 The last part of this post talks about removing and storing under the bunk mattress when popping down. Thank you for the info. Going to order now. Has anyone tried covering the outside with these? I put them in my windows to block out the cold and I’ve heard people talk about “Gizmos” as well to cover the top. Was wondering if it might be something I could make to go over the canvas completely.